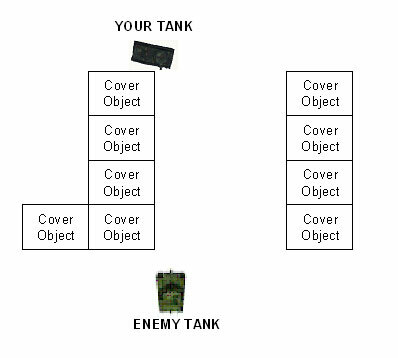 Note: This tips based on using Germany Tanks. 1. If you move your crew to another tank and they have red color on their skills, just re-train them to use the current tank via Personal File => Training Tab => Choose the Current Tank and click the Retrain button. The Re-train process may decrease your currently achivement training points. Example, when your training points reach 100% at Vehicle A, then you move your crew to Vehicle B, then their training points may decrease. But this doesn't apply to your crew skill or perk points, which means, your skills or perks points didn't decrease. 2. If you against fast moving enemy tank, you may want to turn your auto aim off, because when you turn the auto aim on, your target marker speed may not match the enemy movement. 3. If you act as a scout, before you go deep into enemy territory, ask yourself whether your friend artilery or tank destroyer can hit the enemy within their range. If not, wait for a moment, so they can position their tanks to aid you when you encountered enemy tanks. 4. When there are more than one enemy tank in your base, try to hit each of them, to reduce their capture point, not just hit the same tank over and over again. 5. If enemy arty is firing at you, move your tank, because you've been spotted and chances are that next shell won't miss. 6. Enemy tanks and arty can see you hitting trees and crushing objects (fences, cars, houses, etc.) on the map. Avoid it when possible. In addition, if you just crushed a bunch of stuff, you might not want to sit right there as exploratory arty might blindly plop a shell down. Thirdly, destructible cover is still cover; better not to destroy all the cover. 7. Use the terrain to your advantage. "Fire from Cover" or "Fire and Cover". Find solid cover, such as a building, rock, hill or tank corpse. Duck out to fire, then pull back behind cover while reloading. This way you can deal damage and be protected while you reload. 8. FOCUSING FIRE. Priority to choose which one to targeting the enemy whether the amount of time to kill the target or the danger potential of the target. 9. Premium tanks are cheap to repair. 10. You can enlarge your barrack if needed. 11. Experienced earned on Elite vehicles can be converted to free experience. 12. Vehicles that stop moving while under enemy fire quickly become smoking wrecks. 13. Injury to the Commander decrease View Range. 14. A draw means that neither team has won or lose, except for Assault mode, where the defending team wins when battle time expires. 15. A light tank can be either immobile or intact, but never both. 16. The speed of your crew's advancement depends on their success in battle. 17. When the battle start, don't waste your ammo by firing randomly. This is not western Cowboy. Better to save your ammo and that will prevent you to hit your allies accidently and also prevent enemy could detect your position. 18. The chance of fire depends on engine type, while a crew with skill in firefighting and fire extinguishers will put a fire out faster. 19. Maneuverability is determined by the type of suspension, engine power and total weight of installed modules. 20. Some additional modules can be demounted and transferred to another vehicle. 21. Don't overlook your radio unless you like being blind in the battle. 22. Even the most heavily armored vehicle has its weak points: the sides and rear. 23. Injury to the Driver reduces the speed and maneuverability of a vehicle. 24. Credits and experience are awarded for detecting, damaging and destroying enemy vehicles. 25. To mount some modules you may have to replace the suspension. 26. You cannot start a battle with an incomplete crew. 27. Training your crew to 100% in their major qualification unlocks additional skills and perks. 28. A Commander's skill level determines view range. 29. When vehicles collide, damage is delivered based on the ratio of weight, speed and armor of the vehicles. 31. 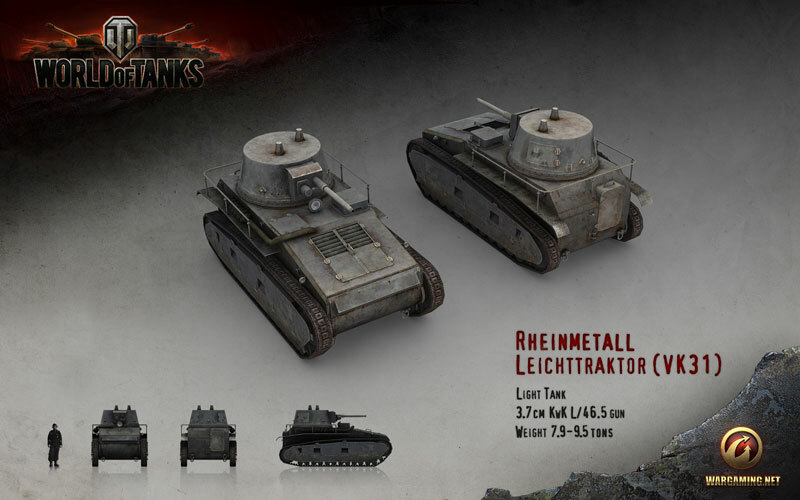 If you use a tank that the front part is longer than the back part, such as Leichttraktor tank, and you're battling where there's a house or a wall cover, such as at Himmelsdorf, go to the edge of the house's wall, and turn your tank so you could peek using your back part. This way, your chance of getting hit will reduce alot and the enemies will harder to hit you. 32. Medium tanks is best as support role. Side by side with Heavy Tank to flanking the enemy tanks. Using the "Hit and Run" Strategy. Sometimes Medium Tank player can act as a Scout or as Heavy Tank. 33. Heavy Tank is perfect for close counter battle. 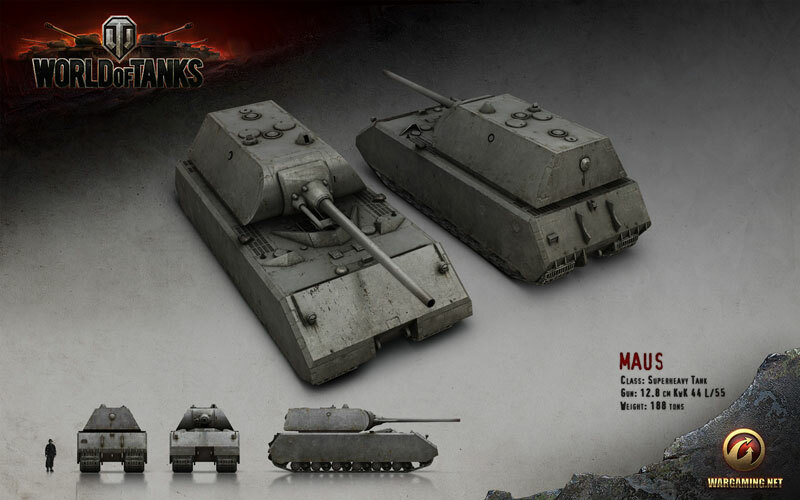 Its Heavy Armor usually could make as a shield for your team mates, while charging enemy tanks. But, beware of enemy arty. So, best to use cover, such as building, to hit enemy tank, while you can avoid enemy arty bullets. 34. Usually, Heavy Tank player could get Steel Wall achievement's medal. 1. Light tanks is best as scout role. Detect enemy tank position for your team mates. Because in generally light tank weapon damage isn't great at all, your primary research would be at the engine and suspension, also at the radio, so you can contact your team mate for enemy position that you had detect. 2. If you use light tank, just move around the map, but don't too far from your team mate, because if you detect the enemy tank, they still could attack those enemy tank. Prioritize to move and move, use your zig zag movement to dodge enemy bullet. Remember the old motto said, "Please Scout but don't DIE". Best map location for light tank as a scout is at Abbey, Erlenberg, Fishermans Bay, Highway, Malinovka, Prokhorovka and Steppes. 3. Usually, Light Tank player could get Scout and Patrol Duty achievement's medals. 4. On open terrain maps, move along mountain ridges and only show the top of your turret from time to time. It's enough to detect enemies without showing your hull and prevent you from easily destroy by enemy. 5. When scouting from tops of hills, do not wait for enemy tanks to be detected. The marks appear with a slight delay. 6. Try not to shift directions constantly while moving. Instead, use subtle turns that are difficult to notice and do not influence your speed, as well as sudden dashes from side to side. 7. When moving within the line of sight of enemy tanks, try to move across the direction they're aiming, and change direction only after they've fired. 8. One can break through to the artillery if you strike at the right moment in the course of a collision of allied and enemy tanks. 9. If you're being chased, try to bring enemies into the line of tank fire on your team mates. 1. Self-propelled guns (SPGs), more often known as artillery, provide powerful indirect fire support with a very large range that can potentially cover the entire map. They stay safe by remaining well within friendly lines and provide support against tough stationary or slow targets. SPG is best as sniper role, fire the enemy with long distance attack. 2. Almost exclusively, SPGs use HE shells lobbed in a ballistic arc to hit distant targets. 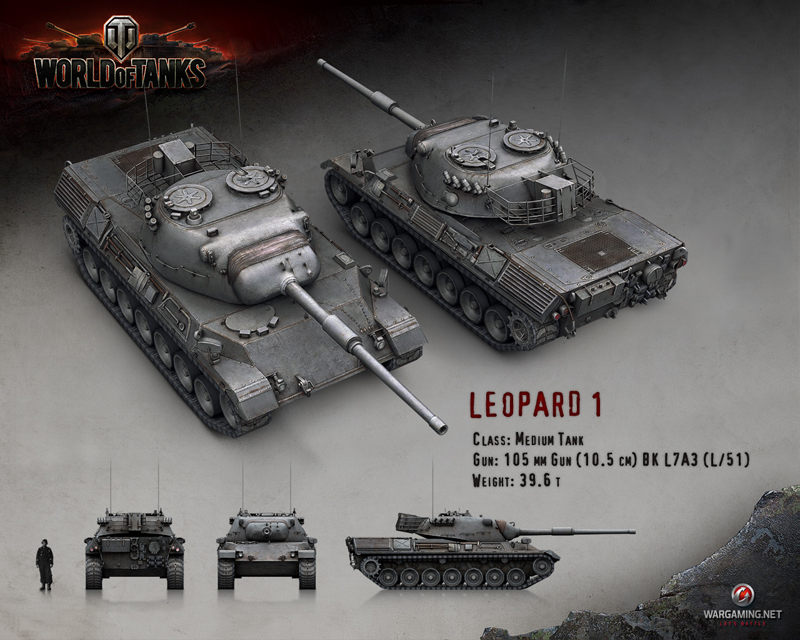 The inaccuracy of their weapons, particularly at higher tiers, makes the splash damage caused by the explosion often the primary source of damage, with direct hits being crippling to the target tank. The heaviest SPG can weigh up to 115 tons. Speeds vary greatly and range from maximum speeds of below 20 kph to above 60 kph. Armor is usually negligible, and with a maximum armor thickness of 80 mm, SPGs are vulnerable to light and medium tanks. 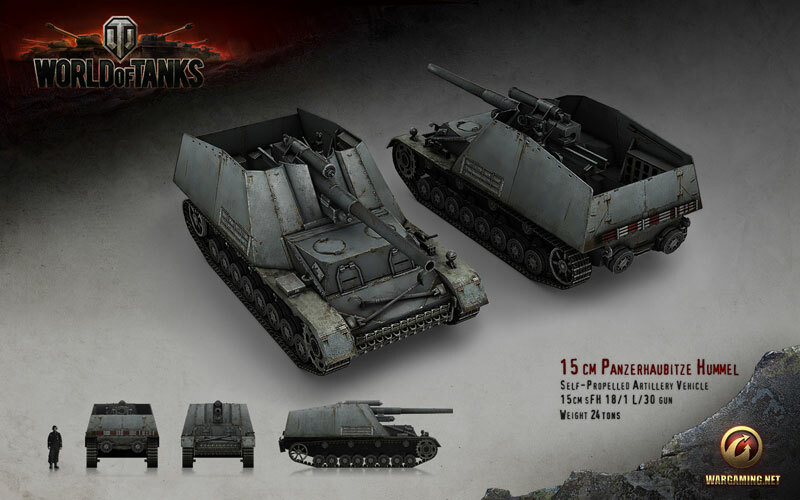 SPGs possess the most powerful weapons in the game, being able to deliver over twice the damage of the most powerful cannons available on similarly-tiered tanks. However, relatively poor accuracy, slow aiming speed, and a long reload time make their weapons most effective against slow and stationary tanks, or tanks moving in a straight line at a constant speed. 3. SPGs are capable of using Strategic View Mode (left shift), which gives them a bird's-eye view of the whole map, though due to screen size limitations you see only a small portion. Map navigation in this mode is very easy. Be aware that moving reticule sideways on the map will cause the vehicle to physically reposition itself, which will significantly reduce your firing accuracy. The reticule will still display as expected, but will vary in shape with the terrain. This eliminates the need to get reasonably close to the target to hit it. 4. SPGs work closely with scouts, using them to spot targets. SPG support is essential in a scenario in which smaller tanks are up against more powerful tanks, and can quickly turn the tide of a battle. SPGs are also one of the best weapons against opposing SPGs, able to fire blindly at potential enemy positions by spotting tracer fire or recently destroyed map-objects like trees or buildings. 5. SPGs should relocate after firing, and avoid predictable locations to prevent from being destroyed by counter-artillery fire. Good situational awareness is also essential to survive in an SPG. Noticing breaks in a defensive line early can allow an SPG to relocate before an enemy scout can arrive. 6. Another thing to remember with SPGs is that they have very high ammo-costs, for example a single round for an upgraded Hummel (and similar tiered SPGs) will cost approximately about 1000 credits, which makes constant blind-firing and misses a costly endeavor. 7. SPGs appear as red or green squares on the mini-map and over target marker. 8. At the strategic view map, you can see whether your SPG weapon range could reach the destination area or not, by locate whether you can see the dot circle or not. If you can't see, then it maybe out of range. And also, if you see the red line instead the green line, then it means that your line of fire is blocked by something. So, make sure you have position your SPG didn't near anything that can block it's line of fire, such as big rocks or building. 9. Press X while aiming: Sasis Lock Function. It help you better to locking your target. Then if you want to move your aiming again, press X to release the lock. 10. Press right click (Lock Gun function) and then move your cursor to examine other area, while your gun continuing to locking current target. If you release the right click button, then the aiming instantly move to that target. 11. Ctrl + Right Click at the mini map: Move your camera fastest to the desired location. 12. Recommended Expansion Module: Rammer, Equipment Enhanced Gun Lying Drive, Equipment Coated Optics, Equipment Binocular Telescope, Camouflage Net. 14. Don't forget to move around the map, so the enemy hard to spot your position. 15. Don't shoot when friendly tank is nearby enemy tank, you may accidently kill your friend. 1. These well equipped machines are meant for taking out enemy armor from long distances completely unseen. Find a good hiding spot, switch to sniper mode and eliminate easy targets from across the map. 2. Hit and run. Find good cover so your tank destroyer will stay hidden until you attack. After you fire be sure to find a new hiding place immediately. 3. Keep your eyes on the target! Your heavy front armor will keep you protected in a heavy firefight if you stay facing forwards. 4. Tank Destroyers are vehicles designed specifically to destroy enemy tanks. They have more powerful weapons than most other vehicles of their tier and are able to penetrate most targets they encounter. 5. Most tank destroyers lack of a turret and must reposition themselves to aim at a target. However, this design usually gives a tank destroyer more effective use of concealment due to a lower profile. The heaviest tank destroyer can weigh up to 135 tons. The fastest tank destroyer can reach speeds up to 72 kph. Armor on a tank destroyer can be as thick as 305 mm, and only artillery has more powerful weapons. 6. Tank destroyers are excellent ambush vehicles. Their increased concealment abilities allow them to gain the upper hand in battle by using the element of surprise to acquire a first strike advantage. However, the lack of a turret and the general lack of defensive ability means that an enemy can quickly gain an upper hand by using flanking maneuvers, leaving the tank destroyer helpless to defend themselves. Thus, the tank destroyer is generally not effective in close quarters combat. 7. If it cannot find a position for an effective ambush, a tank destroyer can provide excellent fire support by hanging behind the front lines and engaging targets of opportunity. Alternatively, tank destroyers provide effective area denial in enclosed areas, such as city streets, especially in the case of the larger tank destroyers with strong frontal armor. 8. Artillery presents a significant problem for tank destroyers, as they are easier for artillery to hit due to their lack of mobility and they absolutely must rely on existing cover or relocate if spotted. 9. Tank destroyers appear as red or green inverted triangles on the mini-map and over target marker. 10. Hetzer tank (Destroyer Tank) isn't good enough to shoot from long distance, but it's have a good camouflage. You should mainly load HE with this gun, and try and play it as an ambush tank, regardless of the gun. Its high camo value makes it hard to spot, so you can stay hidden until the moment you fire. A camo net helps a lot, and a rammer is practically needed with the 10,5 cm. 11. 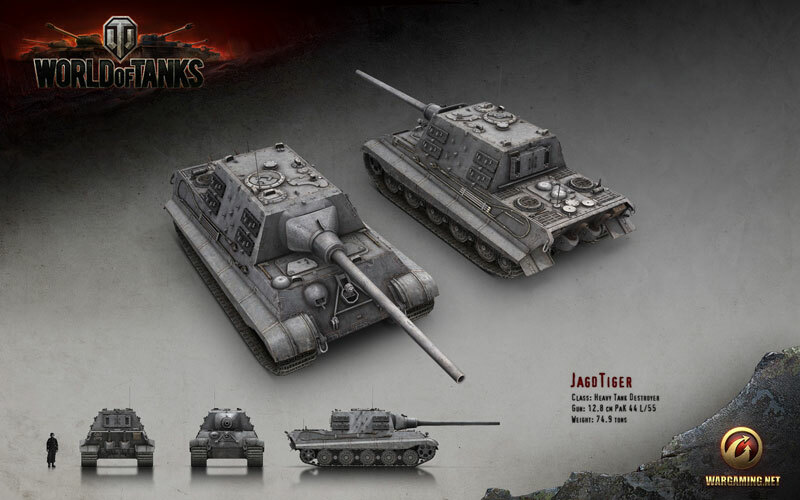 If you've manage to train all the research at your Hetzer, you may want to move again your crew into your Marder II and re-train them to use Marder II, until you have enough money to buy StuG III. 12. The Panzerjager I has a very poor armor, it easily destroyed by enemies shell. So, you must stay behind and best to play as sniper, hit from a far while your friends tried to spot the enemies. Don't charge the enemies head to head. Also, try to use 4,7 cm PaK 38 (t) L/43 gun as soon as you can. 13. Tank Destroyer is best as an ambush role, just like the SPG, fire the enemy with long distance attack (but not as long as SPG was). Best to fire behind the bushes, to camouflage your tank. 14. Usually, Tanks Destroyer player could get Sniper or Confedereate achievement's medals. 1. If you want to mark the area on the map, hit enter to go to chat mode, then use your mouse cursor to click at the area on the map. OR you can press the Ctrl button, and move your cursor at the map, then click at the destination at the map. 2. When you start the battle, you'll see a number at the far left of the player list. It means that the player is part of the platoon team with other player with the same number. F3 = Back to base! - press & hold the button Z; then select the necessary command.